“Estinto” was presented at the “Architales – The Contemporary Art Exhibition about space and storytelling – ”exhibition which Sasahara was closely involved in as an artist and curator. The beginning of this project was marked by the forming of the exhibition’s organization team, its main purpose being the establishment of an art exhibition outside of a white cube. With the help of local volunteers the exhibition was organized practically from nothing. 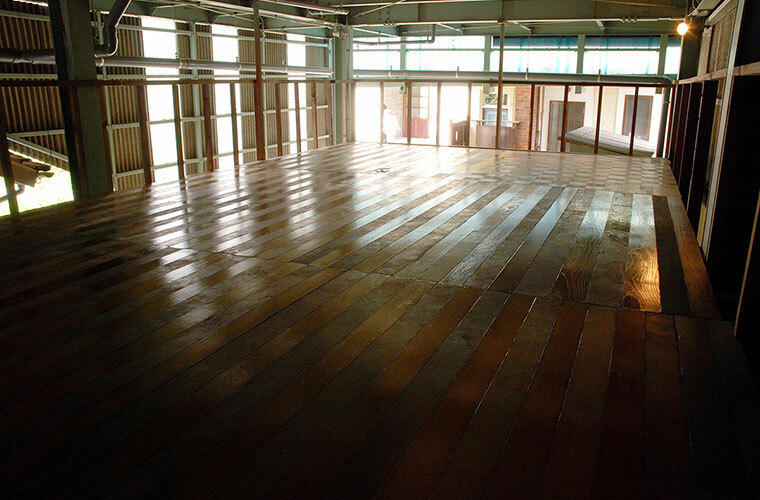 An old abandoned woodwork warehouse was selected as the venue, however for it to become a functioning gallery space the first step was to thoroughly clean the building. Washing away the thick layer of 50 year old dust seemed a waste, so Sasahara transformed it into an art piece in its own right. 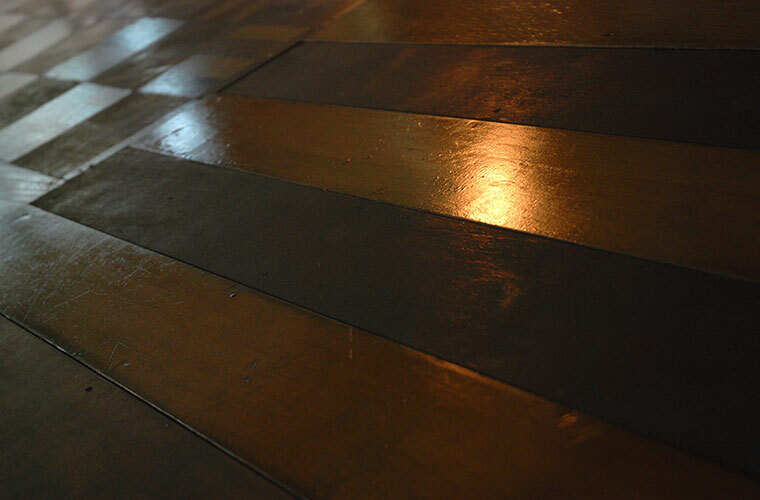 Inside a room with a wooden floor, Sasahara cleaned and polished alternating wooden planks creating a stripe pattern of planks still covered in dust and clean polished planks.